High profile Marxist academicians of Kerala have been taking very keen interest in the sensitive issue of the new findings in the Sree Padmanabhaswamy temple. Most of the party leaders have been prudently reticent, obviously for fear of public anger. What the intellectual giants want is to keep all the valuable articles found in the temple vaults in a state museum, for public exhibition. There is nothing unexpected about this, because for them religion, temple and spirituality are all meaningless and dangerous superstitions. Of course the large followers of the party are not with them in this anti-religious attitude. But the intellectuals are a different class. They hardly communicate with the masses, as they still live in an ivory tower of irrelevant theories and obsolete ideologies. This is neither a new phenomenon nor something peculiar to Kerala or Sree Padmanabhaswamy temple. This is inherent in the communist psyche all over the world. They have put in practice this ideology which prescribes places of worship and religious and devotional items to be exhibited as artefacts in museums. This has happened in the Soviet Union and communist China (both in the mainland and in Tibet). But, in the twists and turns of history in the communist countries the entire process has been since reversed and instead of sacred places turning into museums the party itself has become a big museum, while temples and churches have emerged more powerful than ever. Herbert Genzmer in his catalogue of world famous holy places published in 2010 considers the monastery of the Holy Trinity at Sergiyev Posad as not only one of the biggest and wealthiest monastic enclaves in Europe but as also the spiritual apex of Russian Orthodox Christianity. 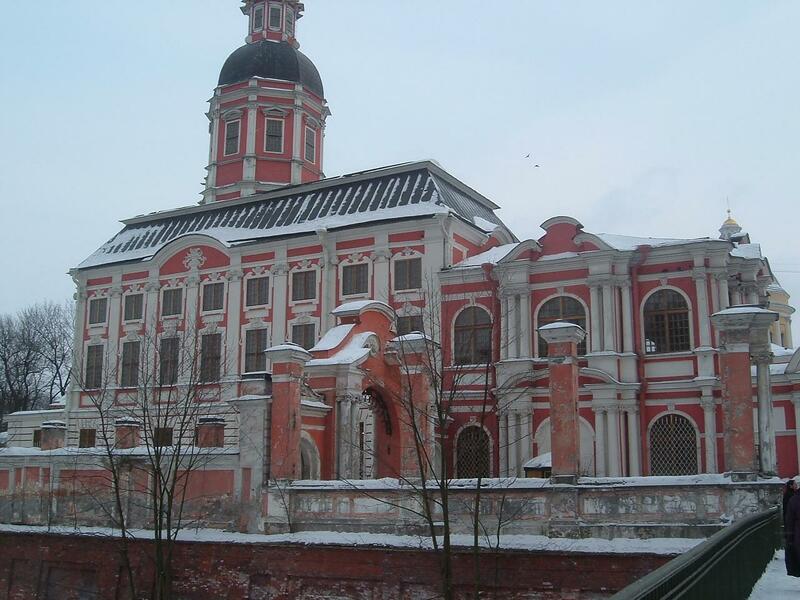 After the 1917 October Revolution the communist regime declared that the treasures of the monastery had to be preserved. The monastery was converted into a museum. During the World War II, Russia was threatened by Nazi Germany and communism was immune and incapable to arouse the national consciousness. The Orthodox Church proved to be a catalyst for linking the Tsarist legacy of Russia with Orthodox Christianity for awakening the nation. In 1945 Joseph Stalin returned the monastery to the church and in April 16 1946 service was conducted in the cathedral. But much of its treasures was lost. This was not an isolated incident of communist regimes annexing wealthy institutions using state machinery and transforming them into museums. The Alexander Nevsky monastery at St Petersburg was famous for its treasures. The communist government demanded that the treasures have to be preserved in a museum. The monastery was transformed into a museum, government office and storeroom. Huge shares of its priceless antiquities were looted according to Richard Cavendish in his UNESCO report on World Heritage Sites published in 2008. After the fall of the communist government in Russia all these monasteries have been declared heritage sites by the UNESCO. But the question is who shall replace the looted treasures from these sites placed in museums in the name of preservation? On a descriptive study on Buddhism published by the Oxford University in 2003, Damien Keown describes that the cultural revolution of communist China proved a catastrophe for Buddhism. 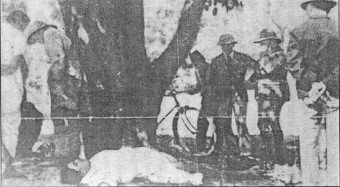 The Red Guards destroyed Buddhist temples and looted enormous treasures. The Chinese Buddhist Association was founded by the People’s Republic of China on 1953, which promoted a revisionist interpretation of Buddhism according to Marxism Leninism, insisted the monks to be loyal to the communist party. According to a study by John Powers in 2006, in 1959, 6,000 Buddhist monasteries were destroyed in Tibet by communist China and enormous treasures were robbed under the pretext of keeping them in museums. The treasures of the famous Sakya and Lithang monasteries were looted and then bombed. Numerous historic documents on Buddhism were destroyed. The Marxist ideologues and historians have kept an eye on artistically rich and wealthy institutions as a worksite for ideological digging. The setting up of museums was politically motivated to interpret the preserved antiquities in accordance with Marxism Leninism rather than their archaeological and historical context. Vladimir Radyuhin, has pointed out that Russia is witnessing the revival of the Orthodox Church and its gradual establishment as state religion. Radyuhin perceives that the Kremlin promotes the Orthodox Church in order to fill the ideological vacuum that the collapse of communism has created. The steady growth of the church can be comprehended from how the mayor of the Moscow was compelled to withdraw the land offered to ISKON fair construction of a temple following protest from the church. Indeed the government has helped to build new and restore thousands of churches including the cathedral of Christ the Savior near Kremlin, the largest Orthodox Church in the world. As observed by Radyuhin the cathedral stands as a symbol of orthodoxy replacing Marxism Leninism. President Medvedev has emerged as an ardent supporter of the church and was instrumental in giving orthodox theological schools the same status as secular universities. Following the approval in December of a controversial law to restore religious organisations property and assets seized by the communist regime, museums and archives have been compelled to vacate church premises and surrender religious artefacts. Indian communism, which once held promises of being the alternative to the Congress — remember the slogan ‘After Nehru, Namboodiripad’ — now shows signs of taking the Soviet and east European route to dissolution and disappearance except as skeletons in the museum of history. Namskar! 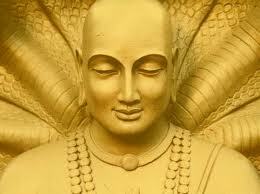 from the land of Pdmanabha and the Padmanabhadasa. There is a lot of discussion on the treasure uncovered and inventoried at behest of the Supreme court in the vaults of the legendary Padmanabha temple in Thiruananthpuram. Everyday there are numerous articles in the national newspapers. Everyone is giving expert recommendations . A broad consensus in the popular opinion seems to have been arrived at , that the treasure uncovered is not a trove found unclaimed but a legitimate belonging of the deity represented by the trust. Another concurrence in the intellectuals seems to be that the wealth belongs to the Hindus and should be put to use as per their considered decision. 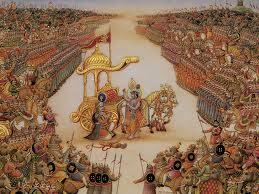 But Hinduism is not a monolithic edifice like some other modern religions. There is no central papal command or caliphate to hand out any fatwas type unchallenged orders. So everyone is entitled to an opinion. The OPEDs appearing in national dailies and editorial comments have suggest a range of possibilities. The spectrum of the suggestions offered is very wide. On one end the funds going into the state coffers to the other end of re-shutting the vaults and keeping the treasure as intact and buried as it has been for more than couple of centuries. Everyone has something to suggest. One wrote distribute it amongst the poor. Some suggested to build a museum. It is no doubt a healthy debate possible only because it is a Hindu temple. The Hindu have been always open to debate. The faith does not bar a practical application of the Devotion. But proper understanding of Historical background, local sociocultural realities and sensitivities of the devotees is needed before arriving at any conclusions. As the matter is sub-judiced the legal angle also becomes very pertinent. All are concerned. A Hindu awakening of sorts has taken place by the uncovering of the unimaginable wealth to the public domain. The extent of wealth was very well-known to the trustees of the Temple. 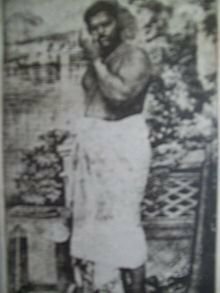 The erstwhile rulers of Travancore had taken pride in calling themselves as Padmanabhadasa and have remained faithful till date. They have been visiting the vaults on the specific festival occasions. But it was a well guarded secrete. It has come out to the public knowledge ostensibly by the Supreme court intervention but faithful devotees strongly believe that this is the divine will of the Lord Padmanabha himself. There are private discussions all around expressing concern and interest. But Bharatiya Vichar kendram in Thiruananthpuram took a lead to organize public debate on the issue. Seminar titled “Unnecessary debate on the Pdmanabhaswamy Wealth : way forward” was organized on the 21st July 2011 at the Samkriti Bhavan. 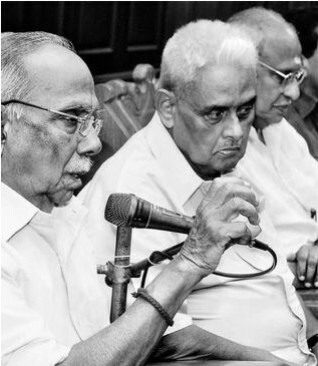 The speakers included well-known veteran historian M G S Narayanan, Legal expert Adv Shashibhushan and Vichar kendram director and eminent scholar P Parameswaran. There was discussion on all the different angles of the issue. 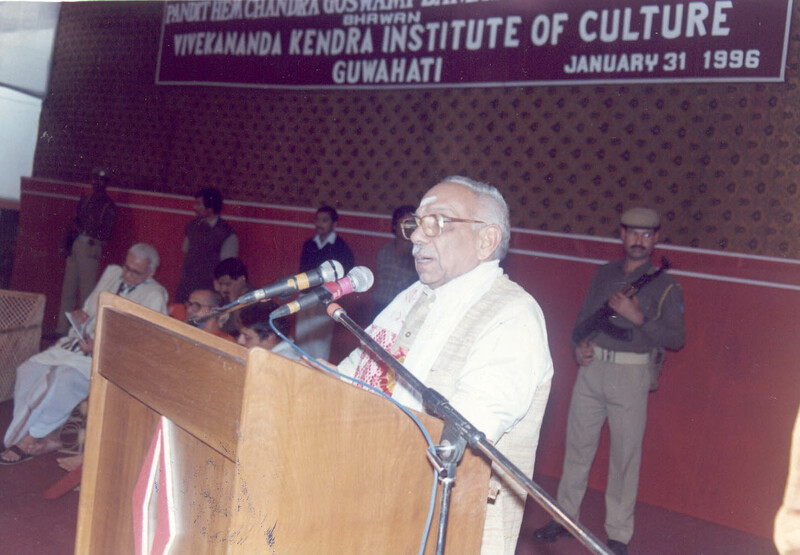 It was well attended by more than 400 intellectuals of the city. The seminar has given a very constructive direction to the debate. Here is the report published in The Hindu next day. This institution could be named ‘Sanathana Dharma Viswa Vidyapeedom’, director of Bharatheeya Vichara Kendram P. Parameswaran said here on Thursday. He was speaking at a discussion on the ‘Sree Padmanabhaswamy Temple: Unnecessary Controversies and Undeniable Truths’ at the Kendram. The temple has a history of supporting centres of learning. The ‘Kanthalloor Sala’, also known as the Nalanda of the south, was supported in its activities by the temple. 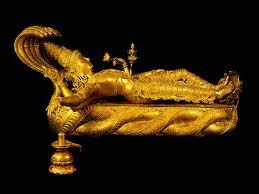 The temple and its recently discovered assets belong to Padmanabhaswamy. 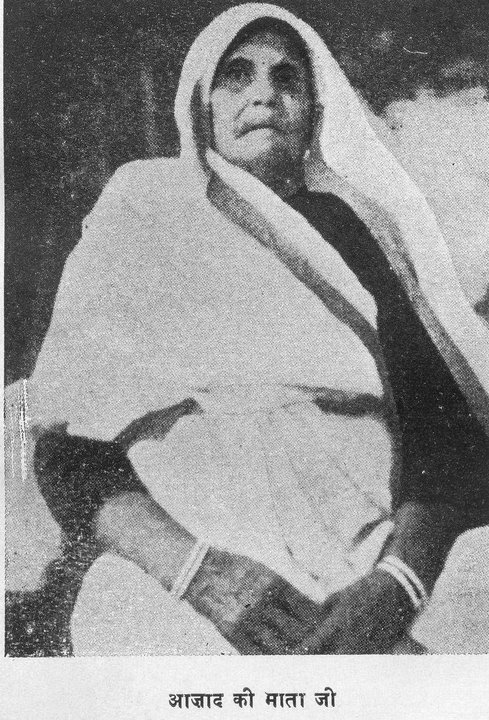 The rulers of Travancore had guarded these assets as trustees. As such, the ruling family should be an integral part of any future arrangement pertaining to the management of the temple. The assets of the temple could also be used for the uplift of those sections of Hindu society that remain downtrodden, he added. In his address, noted historian M.G.S. Narayanan said the riches found in the temple is the cumulative offerings of devotees down the ages. These riches should be kept in the temple itself. 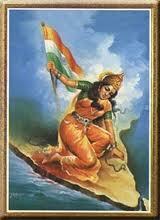 In fact, these riches may even catalyse a sense of unity in Hindu society. Former Union Minister O. Ragagopal pointed out that a consensus has emerged in Kerala society regarding the riches found in the temple. Across political divides, the idea that these riches belong to the Temple itself and not to the government or even to society at large has found acceptance, he added. Right from the childhood we learn to thank. Parents teach us to be grateful. ‘Say thank you’ is told to every child time and again. So we start using the phrase. So common it becomes that we take it for granted. When the waiter in the hotel serves the dishes you ordered and are going to pay with a handsome tip for him to top it, you murmur thanks. When mother toils to prepare dishes you love, at the dining table you thank her also. Many of our Indian families do not teach children to thank mother, as it is thought that formal thanks are for stranger and not for someone closely related. My mother will have shock of her life if any of us thank her. The shock will not be pleasant but very heart breaking. She would feel a stranger in her own house. This may the cultural difference. But the training to express a sense of gratitude is there in all the civilizations. Coming back to the case at hand; we thank the waiter, air hostess, steward for serving and so we do to our mother. The words are same but are the feelings same? 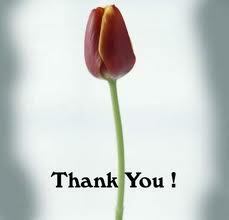 What is the feeling that we want to express when we murmur Thanks, Thaku etc.? What do we want to convey ‘I am grat eful!’ ‘I appreciate your efforts!’ ‘I am obliged by your service!’ In a way it is an acknowledgement of the act which has benefitted us. It should not become a reflex without any meaning and just a mechanical act. The act of expressing gratitude has a deeper impact on the way of life. 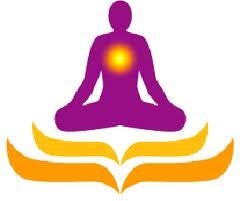 In Hindi and many other Indic languages we use – Dhanyawad, meaning I am grateful or Abhar meaning I am obliged. What is the meaning of Dhanya? 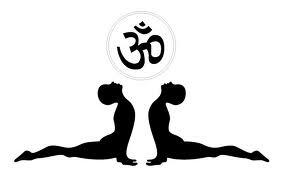 In Sanskrit it means GREAT or enriched. So by saying Dhanyawad we are expressing that the transaction has resulted in gratifying me. By receiving your service I have become great or I am enriched. But is it the real case? 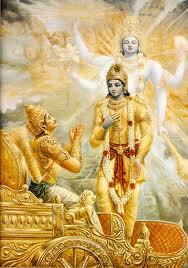 Who is great one who serves or one who receives the service? So is it better to say “You are Great!” “Dhanya ho!” By this we would be thanking that is acknowledging the greatness in the one who serves, thus giving credence and respect to the act of service. But again there is a dichotomy. A differentiation – you & me. We are different so you are great to have served me and I am obliged! पूर्ण समर्पित कार्यकर्ता का मानस! 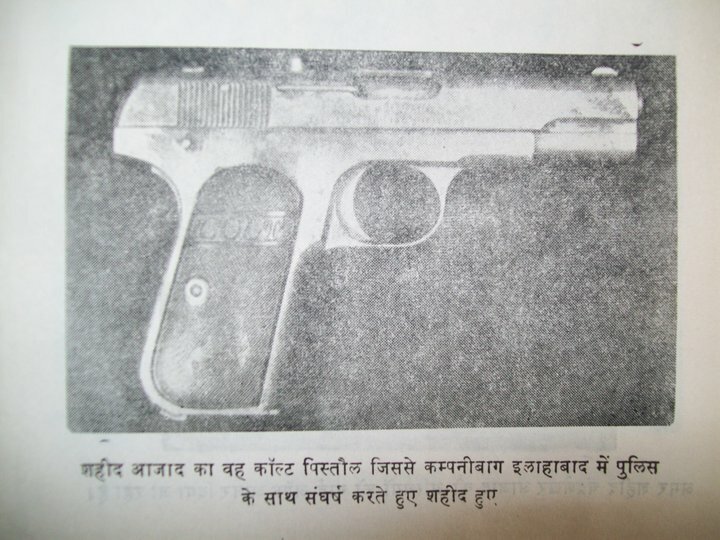 पंडित दीनदयाल उपाध्याय ने अपनी आयु के २० वे वर्ष में राष्ट्रीय स्वयंसेवक संघ के माध्यम से स्वयं को भारतमाता की सेवा में पूर्ण समर्पित कर दिया| जैसा अमूमन होता है– पैसा कमाने देश छोड़कर जाने वाले पुत्र पर गर्व करनेवाला परिवार और समाज राष्ट्रकार्य के लिए समर्पित होनेवाले युवा को रोकने का ही प्रयास करता है| उसके मन की तड़प को नहीं समझ पता और अपनी आशंकाए लेकर भयभीत होता है| दीनदयाल जी ने अपने मामा को जो पत्र लिखा वह सभी के लिए आदर्श है| इतनी विनम्र दृढ़ता ! और ध्येय की पूर्ण स्पष्टता! 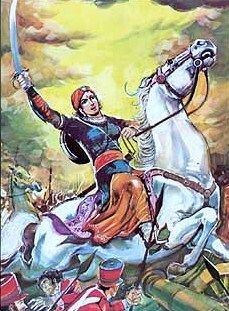 संघ के कार्य पर पूर्ण विश्वास! A fierce debate brewed Tuesday, 4th July 2011, about what to do with billions of dollars worth of treasures in a popular 16th-century Hindu temple in southern India, even as the trove of newly revealed riches was growing. Inside the Sree Padmanabhaswamy Temple, investigators were counting the staggering hoard of gold coins and statues of gods and goddesses studded with diamonds and other precious stones. Outside, small groups of armed policemen patrolled the temple grounds in the heart of the Kerala state capital, Trivandrum. The 24 hours channels are debating what should be done with the treasure? There are as many suggestions as the varied participants. Some suggest the money to be used to build schools. 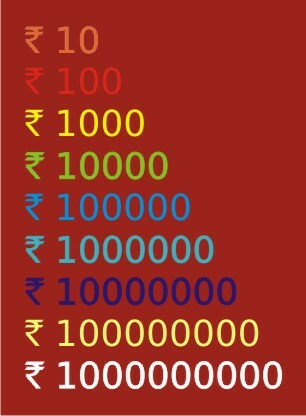 Some say it can repay all the debts of the Kerala government. Some others are counting how many kilometer long roads can be built out this booty of one lakh crore and counting. Few dare ask the essential question — whom does the treasure belong? This brings us to another very important question had there been any debate if this wealth was found in a place of worship belongong to the Muslims or Christians? All religions should be treated equally before the rule of law. This is basic secular principal enshrined in our constitution. But more often this is neglected for petty political considerations. last year a bill was passed in the parliament to handover the enemy property to their previous owners. The enemy property was the properties belonging to the Pakistani Nationals which they left behind in India while migrating at the time of Partition. These propeties were properly managed by a custodian authority formed by the Enemy Property Act 1965 as per the agreement reached after the Indo-Pak war of 1965. But for the benifit of one individual Raja of Mehmoodabad and the illperceived Vote bank politicals gains the law was amended. The amendment enabled the goernment to hand over the properties to the Nabab. Of 2,100 enemy properties across the country, 1,400 are in Uttar Pradesh alone. And the Raja of Mehmoodabad owns 1,100 of the 1,400 properties falling in UP. So, in effect, the passage of the bill primarily benefited the Raja. 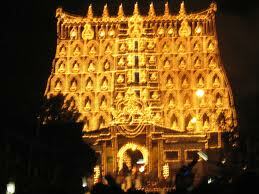 Swamy Padmanabha temple in Kerala being a Hindu temple all these discussions are possible. The logic is extended as to who kept the treasure there in the ancient temple? If it was kept by the Royal Kings of Travancore as has been guessed by some scholars(?) should it become the government property? There are many ocasions where ownership of many of the Hindu temples is vested in the state goernment and the revenue of the same is collected by the religious endowment departments of the sate. Many ancient Hindu temples need renovation. These are infact the precious cultural heritage not only of our pious land but also of the whole humanity. But the income form Hindu temples is not used for this noble cause. The priests in the state owned temples are paid a paltry amount (a few Hundreds in many states) by the government. There are many cases in state like Tamilnadu where depending on the political inclination of the ruling combine these religious incomes are being used for developments of places of worship of other religions. There are examples that Haj subsidies were distributed from these funds accrued from Devaasaam board Hindu temples. A petition is pending in the supreme court on this issue of misuse of Hindu religious endowments by the government. Besides the Supreme Court, various High Courts had also recognised the fact that a temple deity would be a legal entity and even a devotee or a regular worshipper could move the court on behalf of the presiding deity, which will be considered a perpetual minor. In the famous Judgement by allahabad High Court in the Ramjanmabhumi Ayodhya case the same was pointed out by the honourable court. So the rule of law must prevail. The wealth belonging to the Lord Vishnu the deity of the great Swamy Pdmanabha Temple should be leagaly made into an endowment trust and should be used for renovation of neglected Hindu temples all over the country. Many more causes of the Hindu religious places of worship can be benifitted by this trust. 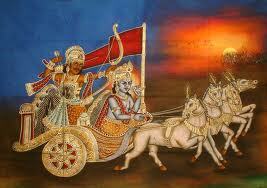 Let us remember this is the Dharmabhumi Bharat and Vishnu, the lord of sustanance would sustane the whole nation. Dharmo Rakshati Rakshitah. पर क्या हमारा नेतृत्व तैयार है माँ भारती की नियति को साकार करने??? क्या हम तैयार है नग्न इतिहास का सत्य सामना करने के लिए??? 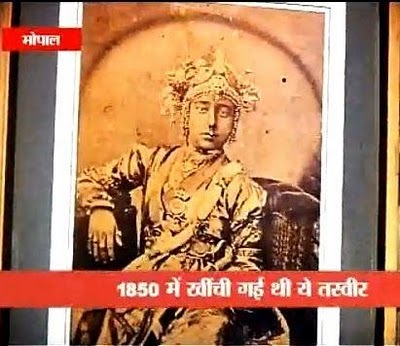 विश्व का सबसे बड़ा आतंकवादी मारा गया इस बात पर सारी दुनिया उत्सव मना रही है। बात भी इतनी महत्वपूर्ण है। इसिलिये इस घटना के भिन्न भिन्न पहलुओं के बारे में लगातार 24 घण्टे प्रसारित हेानेवाले माध्यम अनेक समाचार दिये गए। अमेरिकी चुनावों तक कुछ न कुछ तथ्य धीरे धीरे सामने आते रहेंगे और ये ओसामा को मरने का तमाशा चलता रहेगा| इन सब के बीच में एक कायकर्ता का ध्यान तो पूरे अभियान की सफलता के पीछे लगे पूर्व एवं पूर्ण नियोजन, कठीन परिश्रम तथा सुव्यवस्थित कार्यान्वयन की ओर जाता है। कहते है कि अगस्त 2010 से अमेरिकी गुप्तचर संस्थाओं को ओसामा के ठिकाने के संकेत मिल गये थे। पर पूरी निश्चितता के बाद ही पूरी तैयारी के साथ यह साहसिक अभियान सम्पन्न किया गया। इसिलिये 40 मिनट में ही सफलता मिली। हमारे पड़ोसी के सरकार को भनक तक नहीं लगने दी। ये अलग विषय है कि इस सबके बाद भी विश्व से कट्टरता समाप्त नहीं होने वाली ना ही पाकिस्तान आंतंक को पूरा समर्थन और प्रश्रय देता ही रहेगा। जिहाद की मानसिकता के विरूद्ध जबतक विश्वव्यापी अभिमत नहीं बनाया जाता तब तक आतेकवाद से युद्ध संभव नहीं। जो अमेरिका पाकिस्तान की सार्वभौमिकता को धताबता कर अपने लक्ष्य पूरा कर लेता है वही भारत को धैर्य की सीख देता है। पर उनको क्या दोष दें? हमारे देश में ही आतंक से लड़ने की मानसिकता कहाँ है? वीरता, संग्राम व बलिदान की वर्तमान युग में भी महती आवश्यकता है। देश पुनः अपने सत्य अस्तीत्व की लड़ाई लड़ रहा है। ऐसे में यह जानना आवश्यक है कि इतिहास केवल ग्रंथों और पाठ्यक्रम में नहीं होता। जिन लोगों और ग्रामों में इतिहास घटित हुआ है वहाँ उसे जीवित रखना पड़ता है। रानी के स्पर्श से पावन हर स्थान उनकी स्मृति से प्रेरणा प्रदान करनेवाला तीर्थ बन जाये। झांसी के तो कोने कोने में रानी की कथायें है। झांसी से निकल रातोरात रानी जहाँ पहुँची उस भाण्डेर में पहूच नदी के किनारे रानी की स्मृति में प्रतिवर्ष मेला लगता है। बड़ी संख्या में महिलायें पहाड़ी पर बने देवी मंदिर पर मेले में आती है। आपस में कहती है, ‘‘यहीं कहीं रानी ने पूजा की थी। यही दामोदर को दूध पिलाया था।’’ इतिहास जीवित हो उठता है। आइये अपने गाव, जिले, निकट पडौस के राष्ट्रभक्त को ऐसे ही पुनर्जीवित करें। हुतात्माओं की चिताओं पर फिर लगें मेले इसी प्रार्थना के साथ सादर . . .